Last night’s Industry Night was fantastic. Probably one of the best attended events we’ve held so far at the TCW space. All the copies Archaia sent up of A Tale of Sand sold out in under two hours and the reaction from those seeing it for the first time was priceless.Ramon’s art is stunning in person! The big announcement last night was the continuance of a comics retail space on College Street. Dragon Lady subscribers who wish to continue with the new store will have their pull files move to the new store. Feedback from the industry pros at the event last night was overwhelmingly positive, and there are a lot opportunities to do interesting things at the new store, especially as it will be sharing space with the TCW and Guerilla Printing. From my perspective the most positive thing is that my friend Joe Kilmartin will not be unemployed, will be under less pressure and hopefully have more fun with the project. There’s a solid foundation there on which a new type of retail / community space can be built. The big release for the week – which was majorly under-ordered by nearly every retailer ever burned by Rob Liefeld (i.e. 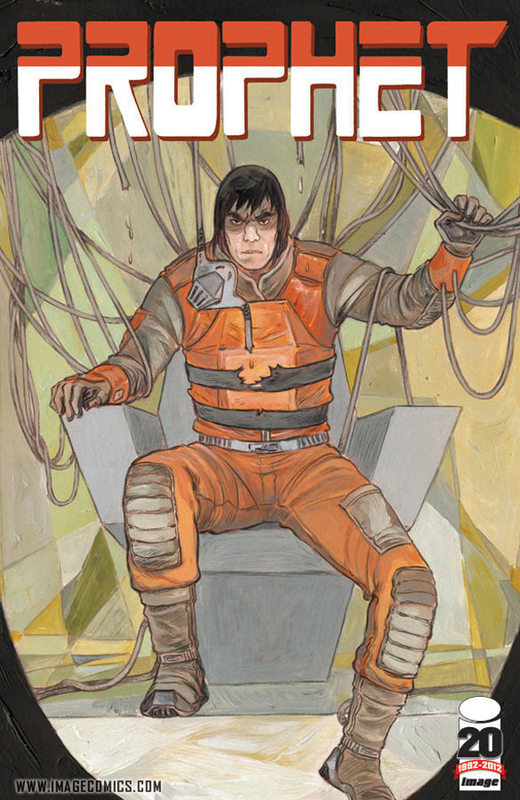 all of them) was the re imagined Prophet #21 from Image Comics, released yesterday and consumed faster than you can say “by Vancouver-based creators Brandon Graham and Simon Roy” aloud. Hopefully Image will rush release a second printing of the book as a lot of people are talking about it. This entry was posted in 2012 Releases, General Announcements, General News, Happenings, Retailers by Kevin A. Boyd. Bookmark the permalink.